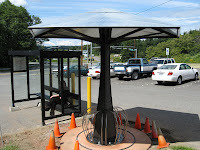 Bayview Park n Ride Bike Shelter. The galvanized steel canopy is 12 feet in Dia. 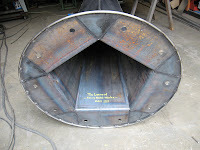 The 10 foot tall post is made from 3/16" thick steel plate. 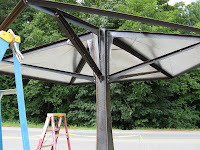 The lower bike rack array is made from 5/8" Dia. 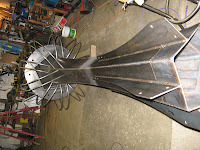 Stainless Steel rod. 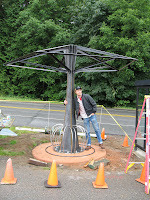 Final setting of Umbrella footing.